There is nothing like finding a cozy local spot with delicious food, spots that are hard to find for a reason—they’d lose their charm with crows lining up around the block. When it comes to quality, authentic Thai food in Falls Church, there are three such spots that shouldn’t be missed. Check out 3 Thai places to try in Falls Church. Prepare to be blown away by this small local gem. 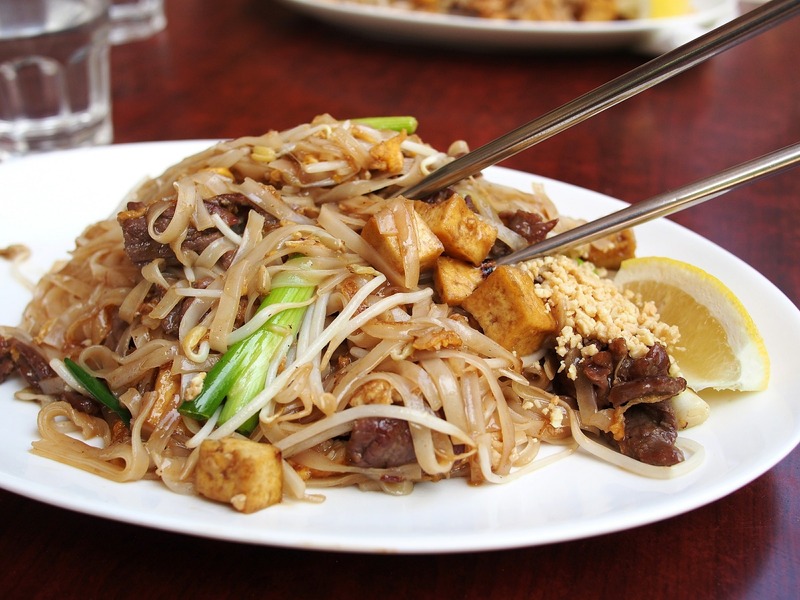 Located near the busy intersection of Arlington Blvd and Gallows Road, this place may be easy to miss but if you’re looking for some delicious Thai food that is prepared to simple perfection, you’ll find your way to Elephant Jumps. Try their authentic dishes of their Thai menu or go for an exciting spin on classic American takes, either way you won’t be disappointed. Once you decide to give this place a try, you’ll become a regular. Another treasure that can be a little hard to find, Duangrat’s offers great ambiance delivered to their beautiful red interior, attention to detail, and music. The first time you visit, you will leave with a list of dishes you will want to try on your next visit. If you like a mix of interesting flavors, try the shrimp chips with the pork dip. This place also has amazing curry so make sure to give that a try (their Eggplant green curry is particularly tasty). It will probably be a good idea to leave room for dessert. We suggest you try fresh sweet mango and sticky rice or the coconut ice cream if they’re in season. If you’re looking for a small, quiet place to enjoy Thai food made with authentic spices, then you should give Sweet Rice a try. They offer a variety of dishes both for those whose palate yearns for adventure and those who yearn for the comfort of their usual favorites. Try the perfectly fried soft shell crabs or the spicy (burning hot!) drunken noodles. Rumor has it that the chicken green curry is the best in town. There’s only one way to find out if the rumors are true. These three restaurants may be hard to spot at first, but they offer the kind of food and attention you can only find at hidden away local spots. With three such quality Thai restaurants in Falls Church, it would be a pity not to drop by and try the unique personalities and dishes they bring to the table. Interested in living in a luxury apartment in Falls Church? Schedule a tour to see all that West Broad Apartments has to offer.